So what is zha cai? 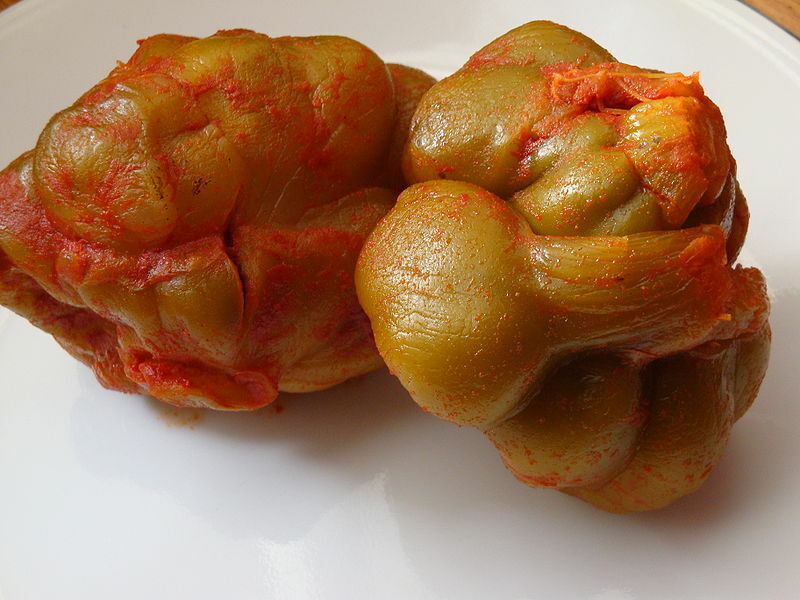 As its vaguely translated name suggests, it is a type of preserved vegetable. The vegetable is a variant of mustard, sometimes referred to as Chinese mustard (no way! ), and its leafy part is considered a rather fancy dish usually stir-fried with dried scallops and served at banquets. The root of this mustard is the part where zha cai comes from. It is harvested and compressed down to yield all liquid, as “zha” in Chinese literally means compress. It is preserved by salt and stored in clay jars. The taste? Crunchy and salty, which makes a great condiment for many things, such as the Sichuan style wontons. Another famous dish zha cai is well known for is the pork zha cai noodles, as fried pork and zha cai is served over soup noodles.